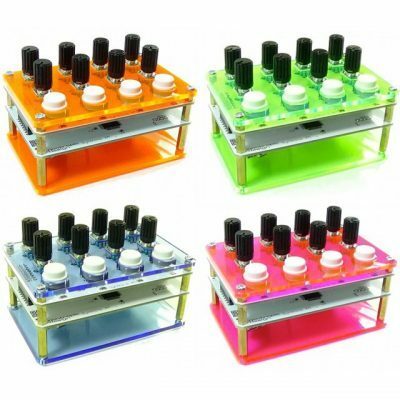 This variation of the Synthino XM™ has high-quality aluminum knobs. 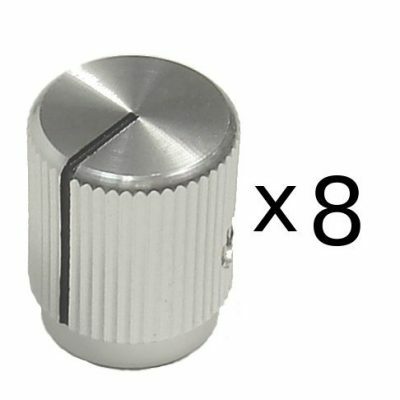 The knobs are knurled, have a brushed aluminum finish and two set screws. 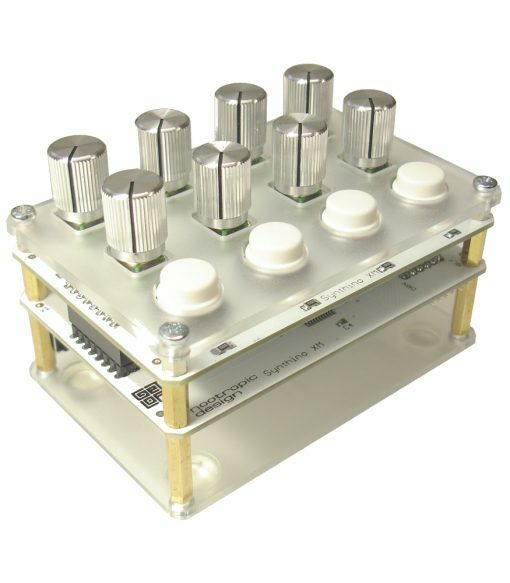 The Synthino XM™ is powerful polyphonic synthesizer with unique features running on a powerful hardware platform. It has a compact, rugged tabletop design that is also beautiful. Most importantly, it is really fun to play whether you are a musician or you just want to make some noise. 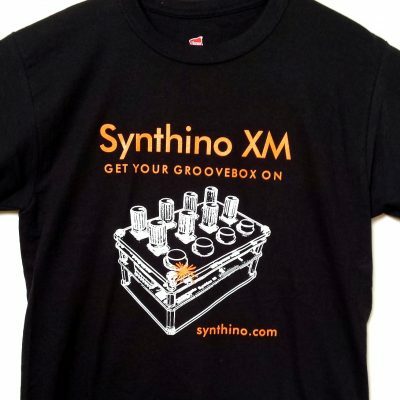 Synthino XM features 3 modes: synthesizer mode, arpeggiator mode, and “live” groovebox sequencer mode. For all the details on Synthino XM, see the main Synthino home page. Fully assembled and tested. Includes 9V battery, USB cable, rubber feet. US Shipping is via United States Postal Service Priority Mail and usually takes 2-3 days. Express service (1-2 days) available for an additional fee. International shipping is via United States Postal Service First Class Package International Service. Delivery time varies by destination, but is usually between 1-2 weeks, but sometimes longer.